How Long Is a Bird's Lifespan? If you just adopted a baby bird, you can generally expect to spend many happy years with your new pet. Exactly how many depends on a variety of factors, though, some of which are out of a bird owner's control. Practice Good Hygiene: Making sure to employ basic hygiene practices will greatly reduce your bird's risk of bacterial or viral infection and disease, resulting in a greater chance that your bird will be able to live its full lifespan in your care. This includes washing your hands before handling your pet, keeping his or her cage clean, and restricting contact with your bird when you are sick. Healthy Diet: Nutrition is just as important to the health of a pet bird as it is to a person. Providing your bird with a varied diet full of healthy, fresh foods will make sure that he or she is getting the proper vitamin intake to support the body and build a natural immunity to illness and disease. "Bird-proof" Your Home: Taking proper safety precautions can go a long way toward making sure that your bird is able to live his or her full lifespan in your care. This includes creating bird-safe spaces in your home so that your bird can play and exercise without the danger of getting into substances or situations that could harm your pet, as well as taking care of things like wing trimming to prevent fly-aways and other types of accidents that can result in tragedy. 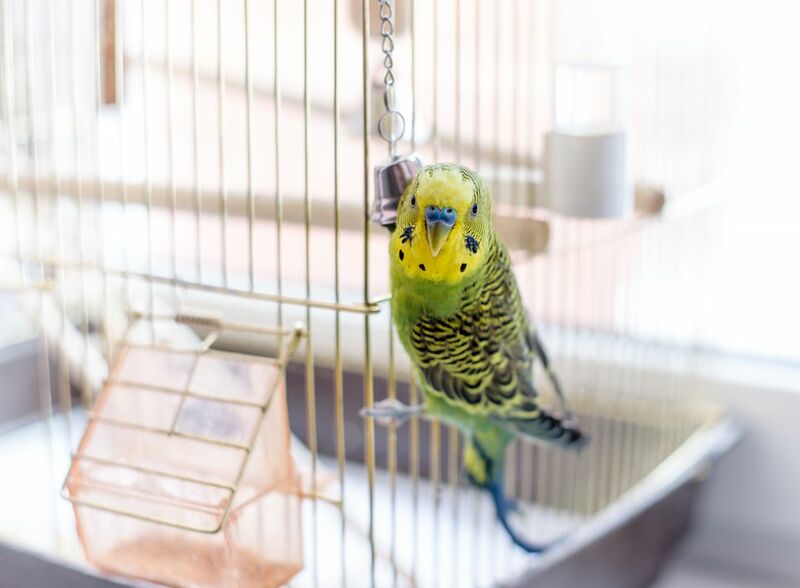 There are many household dangers to pet birds that may not seem obvious to a human, so do plenty of research to make sure that you are doing all you can do to protect your pet from accidents and injuries. Regular Vet Checks: If your bird appears healthy it can be tempting to skip annual check-up with your avian vet, but it is very important that you take your bird to be evaluated on a regular basis even if he or she appears fine. Birds are very good at hiding illness and injuries—in the wild, they have to. Any sign of weakness will make them the target of a predator, so nature has caused them to evolve to be very good at masking things when they aren't feeling well. A trained and qualified avian vet is able to pick up on subtle signals that your bird may be suffering from a health problem that you may miss, so keeping up with vet appointments is imperative to making sure that your bird lives a long and fulfilling life.